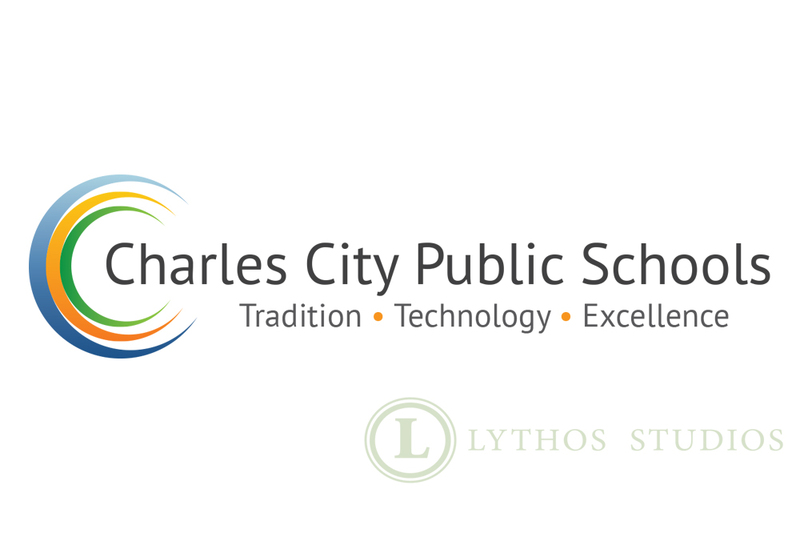 In 2015 Charles City Public Schools engaged Lythos Studios in brand and web development, with the goals of updating its logo, creating a new tag line, and for creating an innovative website. 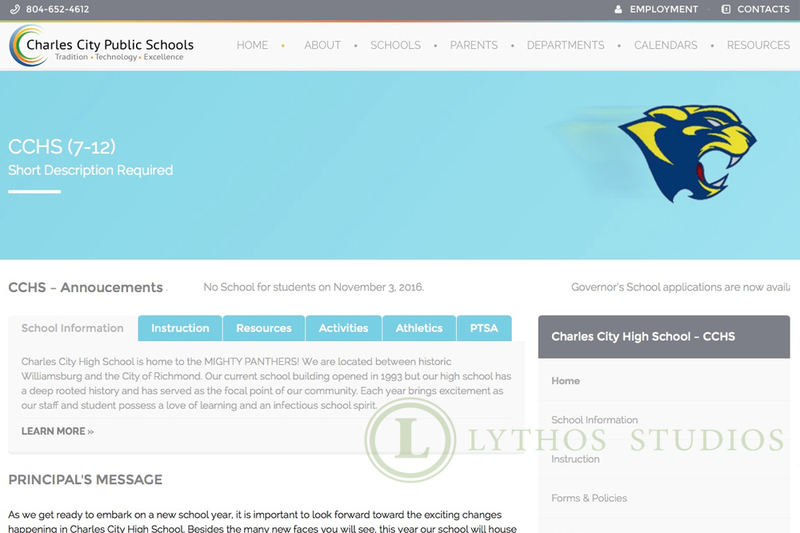 This website would become an integral tool for students, parents, and teachers, and Lythos Studios used their input to create exactly what they wanted. Five focus groups were formed, consisting of school board members, elementary teachers, high school teachers, parents, and seniors. Each group was asked the same set of questions, and the results were consistent with all groups, while also being specific to each individual group’s needs. Every group agreed that a single website with a calender of events was preferred over the current system of different websites for each distinct school, which was confusing and hard to work with. To come up with a new logo, multiple designs were displayed on the school system’s Facebook page after consulting with the school superintendent, Dr. David Gaston. Enthusiasm for the project was overwhelming, with nearly 25% of the county’s students voting for their favorite design. The data collected from the focus groups was used to create a new tag line, and a wire frame was determined based on requests from each member of the focus groups. Access to information was simplified for students, parents, and educators. Google Calender was made into a single menu item on the main site, making it easier for the community to access. Teachers were given access to a resource page and valuable links in one location instead of multiple locations. 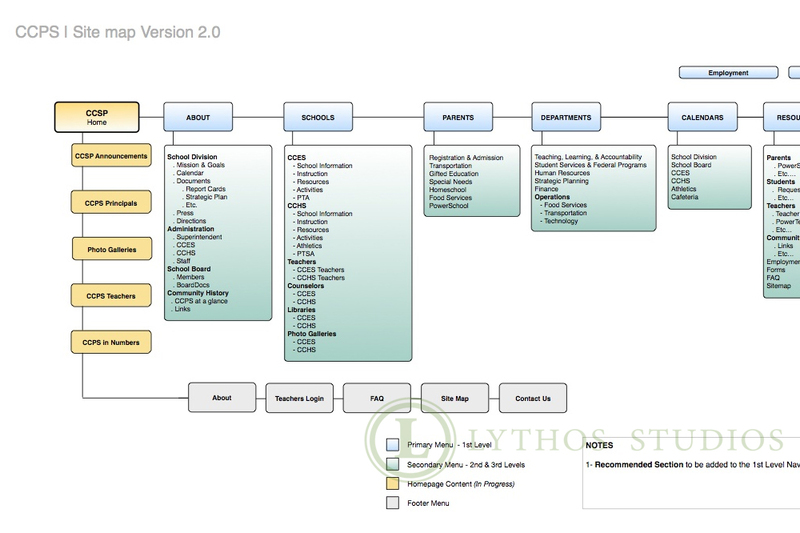 Lythos Studios chose to use WordPress for the website, and the website was chosen based on information supplied by the focus groups and administrative staff. After it was approved, the majority of the content and photographs were quickly completed and the entire website was up and running within the first two months of the school year, to the delight of the entire community.